Phil Foden seems to have been around ​Manchester City's first team for years, but he is still just 18 years old. The midfielder was one of the stars of England Under-17​'s World Cup triumph in 2017, winning the Golden Ball award, and it seems just a matter of time before he makes the jump to the senior side. If Jadon Sancho merits an England call-up, how about Reiss Nelson? The ​Arsenal loanee has been tearing it up in the ​Bundesliga with Hoffenheim this season, but often finds himself flying under the radar as Sancho continues to steal the show. Another tricky winger, Nelson has a keen eye for goal​ and, despite being just 19 years old, is not intimidated by the prospect of going up against seasoned veterans. In fact, he looks to be relishing the chance to do so. A regular for England's youth sides, Oliver Skipp has slowly started to make himself known to ​Tottenham Hotspur fans this season, and his two assists in the 7-0 mauling of Tranmere Rovers in January certainly caught the eye. 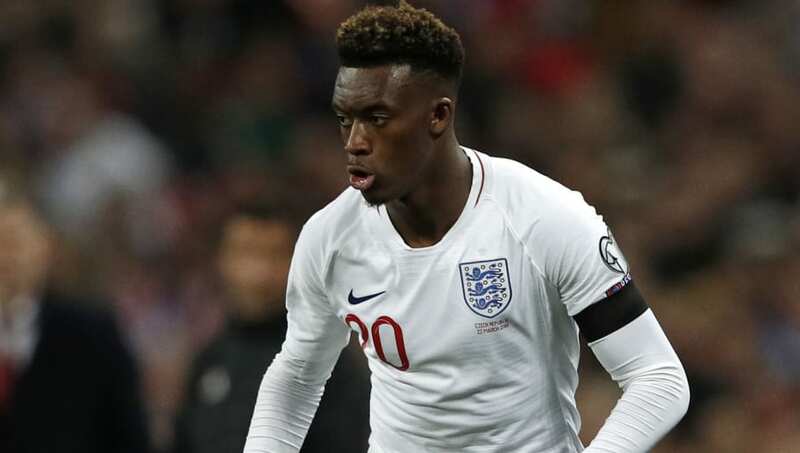 The 18-year-old midfielder​ will only grow in confidence and ability as the years roll on, and he could certainly help out the Three Lions in one of their weakest positions. At just 17 years old, Mason Greenwood still has plenty of time to make his England debut, but the call could certainly come soon if he keeps up his ludicrous goalscoring form. The ​Manchester United youngster has been scoring goals for fun in youth football, similar to Hudson-Odoi last season with ​Chelsea's academy. He already looks far too good for that level, and senior football will undoubtedly be just around the corner. As one Chelsea wonderkid makes his England debut, another could soon follow. Many Blues fans will tell you that Reece James is the second jewel in the academy's crown, and he has certainly been justifying that praise on loan with ​Wigan Athletic. ​With Chelsea's transfer ban looming, James could be set for a run in the first team at Stamford Bridge, and an England call-up could follow soon after. You don't get linked with Arsenal and Tottenham unless you're something special, and Max Aarons is no exception. The full-back has been one of ​Norwich City's standout performers this season, and there's a reason why the Canaries are top of the ​Championship.